Want to find out what your kid’s posture is like? We are offering our “Back to School” Free Posture and Spine checks for all local school kids. Register here or, if you want more info, scroll down. Can your Kid “Hold their head up high”? 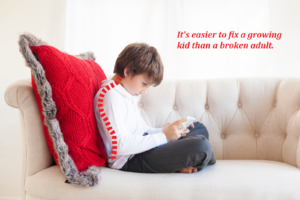 Bring your kids to Maple Leaf for a no obligation, free Posture Check. This takes less than 10 minutes and you will immediately know how good (or bad) your child’s posture is. You will also get a copy of their results emailed to you. This offer is for children, from ages 4 to 16 and runs over the last two weeks in August (1 – 7 September 2018). You do not have to be registered client with us, for your child to get a Free check. We see toddlers on iPads and our teenages are constantly looking down at their phones. In practice, I see 13 year olds with early arthritis and deformations of the spine. Just from using tech! Even the sporty and fit kids are showing worrying spinal changes. I’m very concerned for the long term health of our children, as poor posture is not just linked with spinal issues and degeneration. It is also associated with lower mood, poor concentration, decreased lung capacity, bloating and other digestive problems … and even higher blood pressure! even a small amount is beneficial to our health. We all know that regular physical activity has health benefits, including weight control, strengthening the heart, bones and muscles and reducing the risk of certain diseases. Recently, researchers at University of California San Diego School of Medicine found that just one session of moderate exercise can also act as an anti-inflammatory. The findings have exciting implications for chronic diseases like arthritis, fibromyalgia and for more complex conditions, like obesity. Unfortunately, many people who want to start exercising have issues that stop them exercising or make it uncomfortable or painful to exercise. 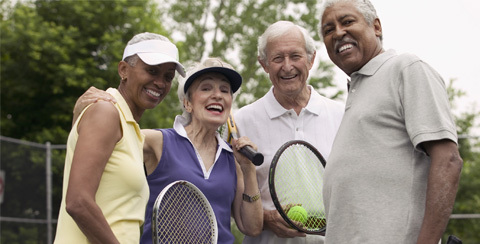 This could be because of painful joints, stiff back or even lack of confidence in their body’s ability. Our bodies are designed to move. We love the feel the feeling of movement and all the benefits that exercise brings to our health and the postive impact it has on those around us. We’d love you to be able to feel the same. So, if you feel that your body is not up to it yet and want to find out if we might be able to help you. Come in for our weekly, free, no obligation Talk. Have a look at this short clip for more info. You have the greatest chance of finishing a marathon by getting to the start line Injury Free. Come in to see Rachael, our Sports Rehabilitation Therapist, she is a Marathon runner herself and has a wealth of practical and clinical experience and will help ease those sore legs after your long runs. for just £225 (normally £260). Not doing the Marathon but know someone who is? Why not buy them this package and show them they have your support and admiration? A 2014 study in the prestigious journal Spine found that seniors (66 and over) that received chiropractic care had a 76% lower rate of injury within seven days of treatment when compared to the subjects that went to their GP, for a neuromusculoskeletal complaint. That’s a big difference! Did you know? The risks of adverse reaction to painkillers and anti-inflammatory drugs increases in the elderly. Advise you parents and grandparents that chiropractic is safe for them and doesn’t have the risks of serious side effects like drugs do.